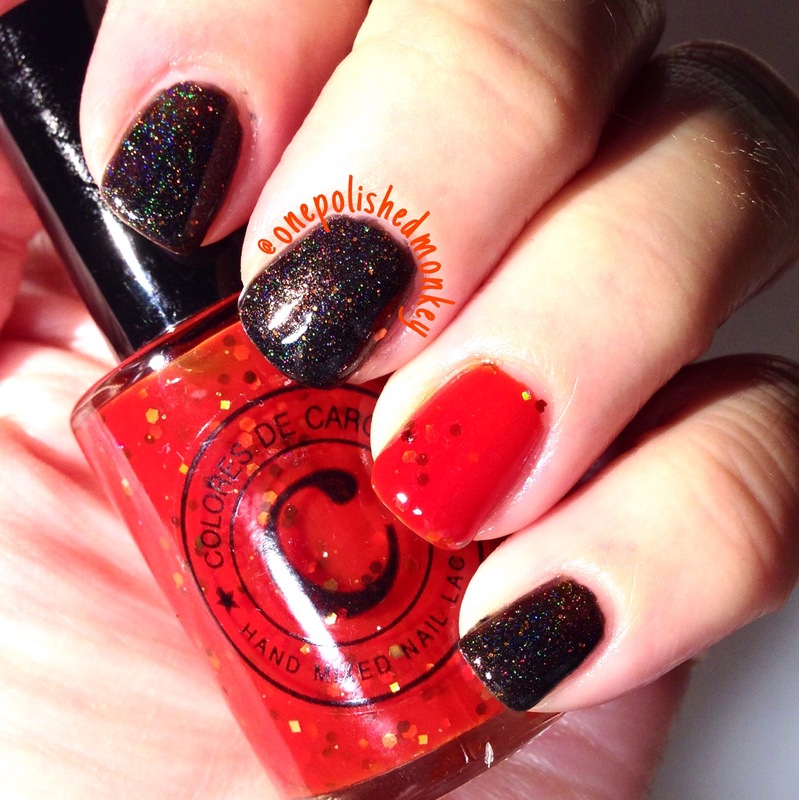 Today we are talking about the Colores de Carol Halloween 2015 trio. When I first saw this trio on IG I knew I had to have it and ordered it right away. Because it was October when I received them I put them in the drawer with my other indies. Well…fast forward to last night when I remembered that I had this trio and whipped it out so I could do one last Halloween mani. I have to say this was not my first attempt at a mani last night. My original plan didn’t play out as well as it did in my mind. Because I was running out of time and getting frustrated I only used two of the polishes. 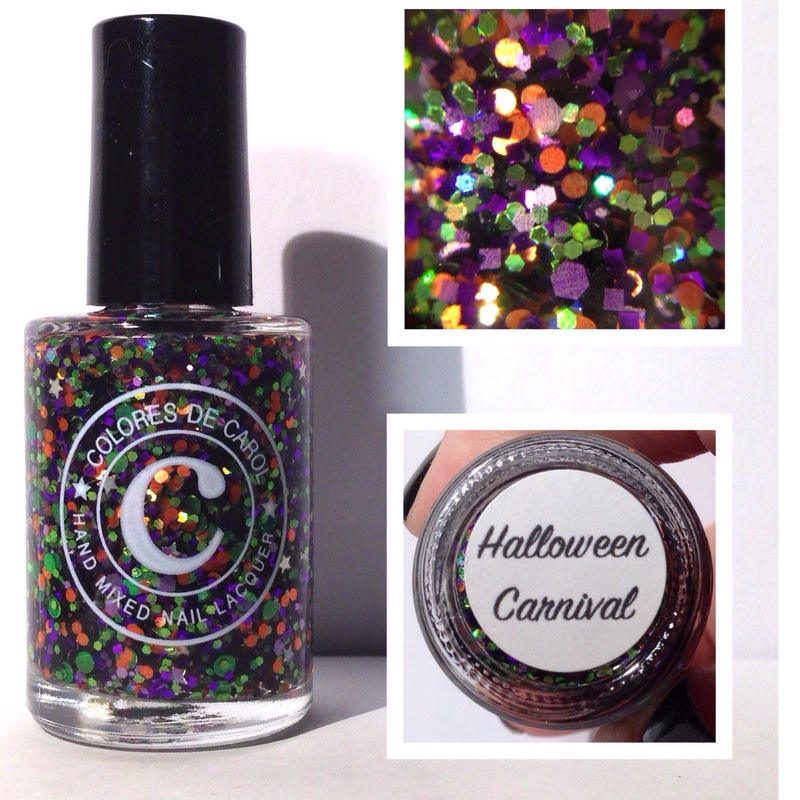 Halloween Carnival is a glitter polish with a clear base and a mix of green, orange, violet and deep purple glitters. Black skulls and silver mini stars are also mixed in. This definitely screams Halloween to me. This was the one color that I didn’t have in my manicure because of technical issues I was having and no fault of the polish. 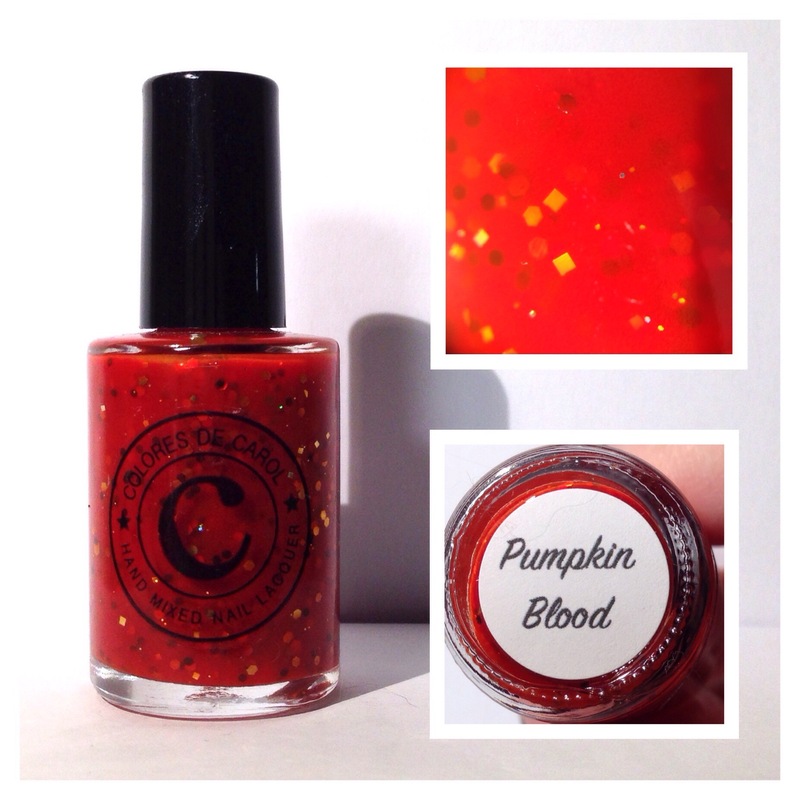 Pumpkin Blood is an orange jelly polish with silver, gold and black hex and square glitter. 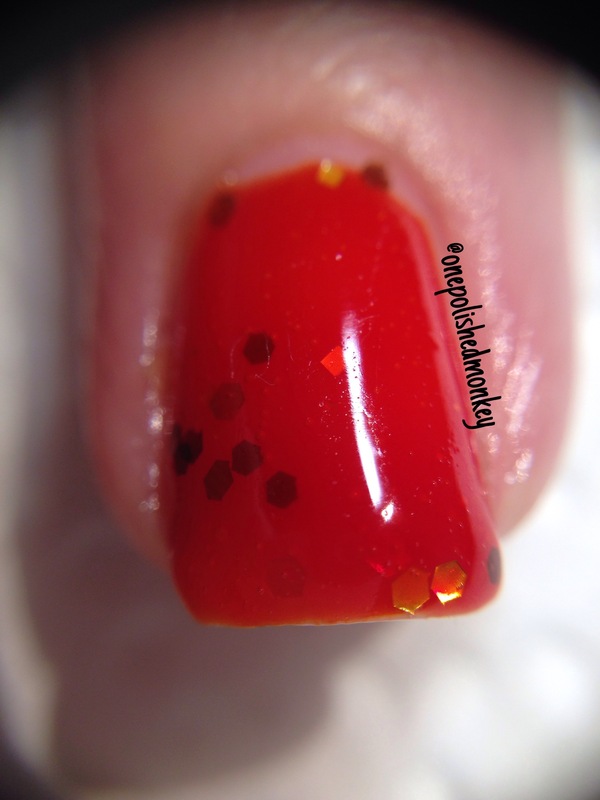 I love the look of jelly polish but can’t get over how weird I feel they apply to the nail. Two coats and this becomes a deep orange with no nail tip showing. 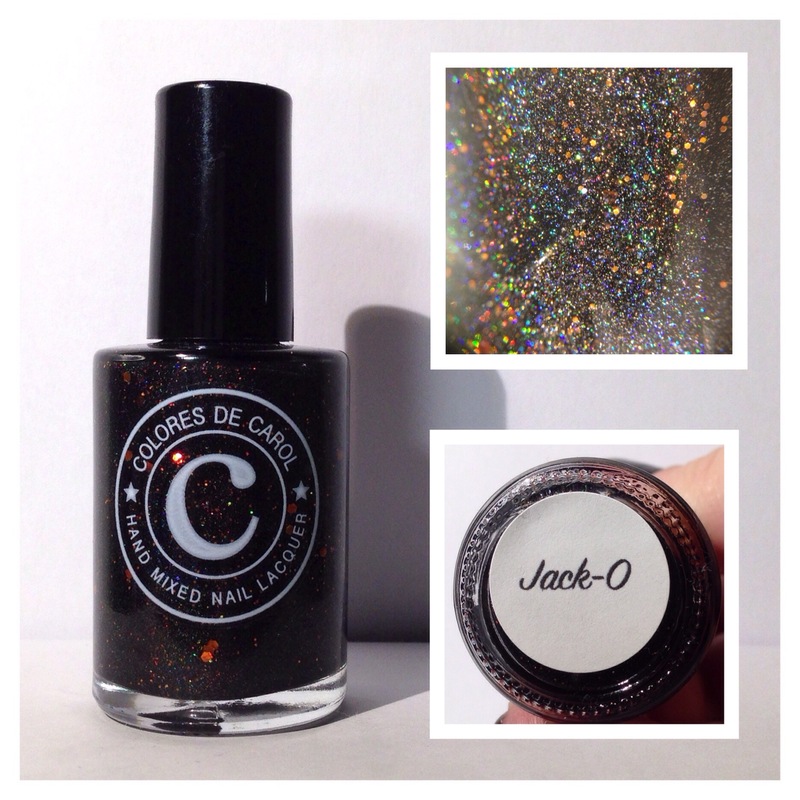 While there was tons of glitter in the bottle the transfer to the nail didn’t seem that great. Jack-O really took me by surprise. The first pictures I saw of this color really didn’t do it justice in my opinion. 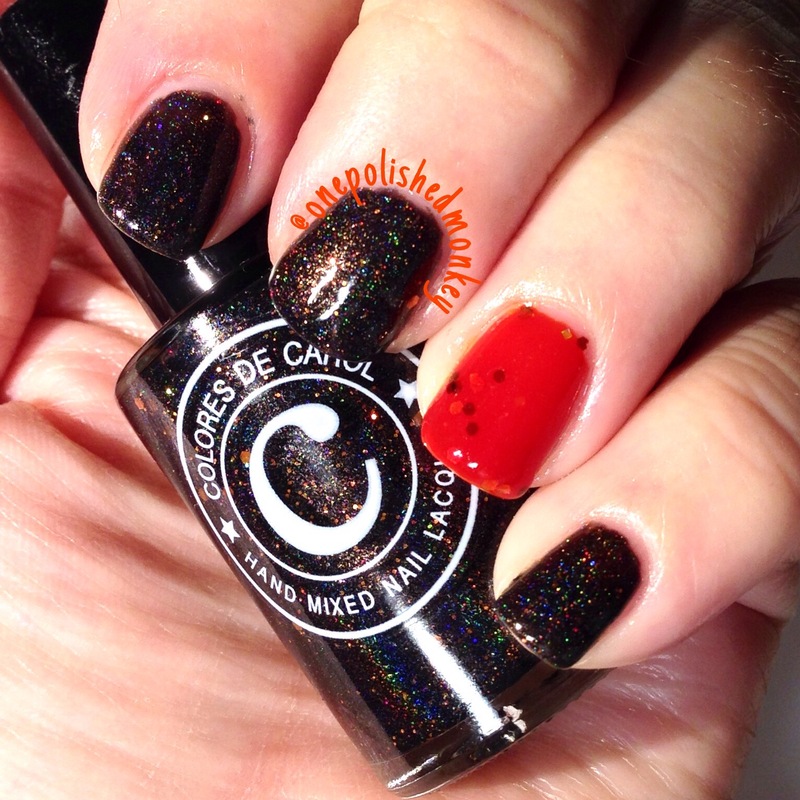 This polish has a black holographic base with micro orange glitter as well as small hex orange glitters. This is a polish I can see myself wearing all throughout fall. Two coats make it opaque.